Whether you want a Full Body, 40 minute Back, Neck and Head Massage or a quick 25 minute Back and Shoulder Massage, you will leave the salon feeling relaxed and revitalised. Massage is used for a variety of reasons, from promoting relaxation to alleviating stress and tension in the muscles to drain the lymphatic system, thus aiding the elimination of toxins. Your therapist will discuss your needs prior to your treatment in order to decide pressure and any specific areas that may need attention. 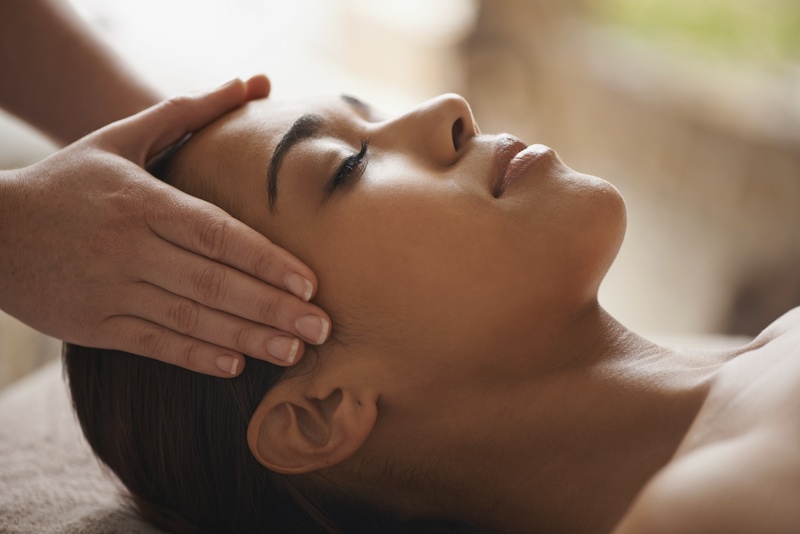 A deep relaxing treatment to ease muscular tension and stress. Using Swedish massage techniques specifically aimed to relax your muscles as the purpose is to increase oxygen flow to the muscles and aid the body to remove the build up of toxins. A variety of massage movements are used to relieve tension, stimulate circulations and restore joint movement. This can help to reduce stress and fatigue, increase mental clarity and is very relaxing and rejuvenating. Specially tailored for the mum-to-be. This gentle massage will soothe and rejuvenate your whole body and mind, connecting mother and baby together through the power of touch. This can help to relieve the tension in the back and alleviate swelling in the hands and feet, while easing the mind and uplifting the spirit. The ultimate in pure relaxation. Aromatherapy is a holistic therapy using essential oils, blended for the individual to achieve physical, mental and emotional equilibrium. These are diluted in suitable carrier oil; this aromatic blend is applied to the skin using aromatherapy lymphatic drainage technique. Aromatherapy oils can sooth, revitalize, uplift the spirit, encouraging positive thinking and boost the immune system enabling the body to heal itself.